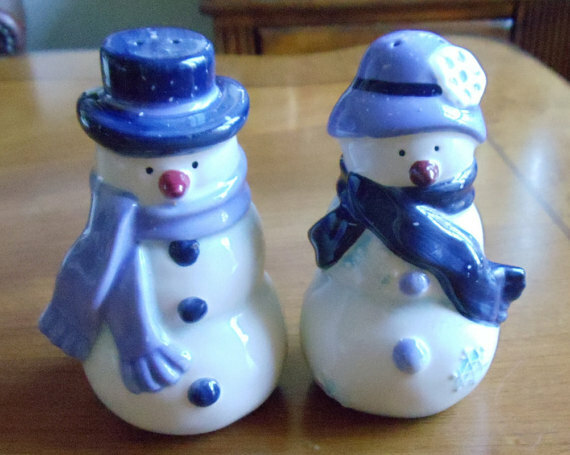 A good place to always set your snowmen is on a shelf or table. 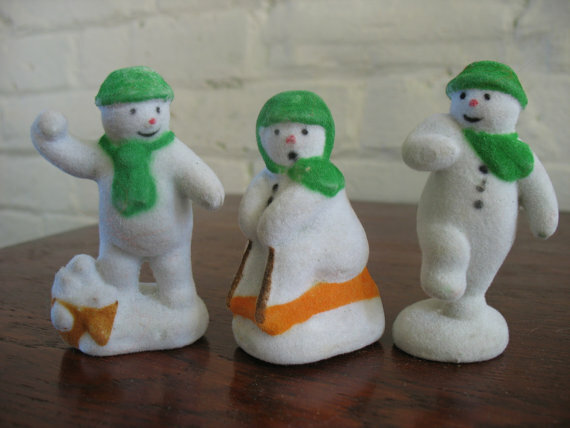 These three little guys from Whimsical Revival will fit that bill. 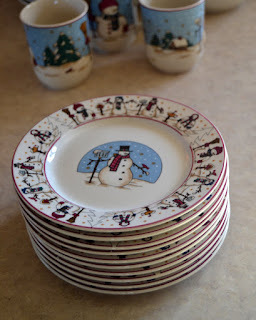 How about these salad plates from Gone2PiecesVintage. 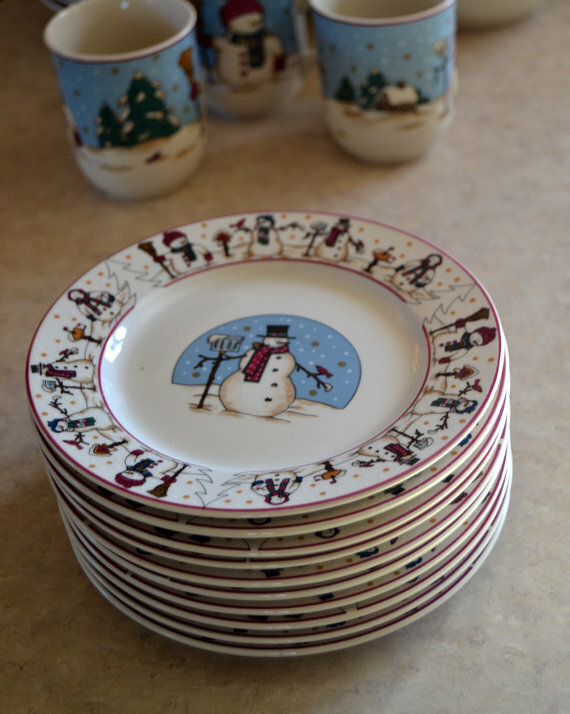 What cute plates these are. 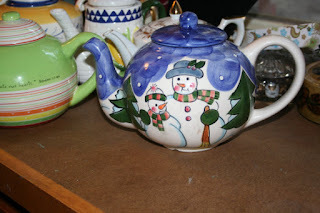 Would look good on your table. So lets give the snowmen a little bit more time in your home. There are still a few more weeks left to winter even though most of us have had enough already.